Sub.Desc : M 1 pcs/bag. with a PVC bag to shrink a coil. M MAIN MATERIAL:3MM P.P. 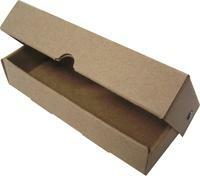 PLASTIC CORRUGATED BOARD。 M COLOR:AS OUR COLOR SWATCH CHARTS OR SPECIFY COLOR. M CORRUGATED P.P. 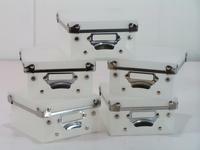 TO FOLD BECOME A NOVELTY STORAGE BOX 100% M WATERPRO0F AND HEAVY DUTY. M Min.Q'ty:1000 PCS Measurment: 16.5(L)12(W)10(H) [Unit :inch] Question & Answer Q: What's the best price you offer ? A: The price depend on the material, the quantity, the design (or the logo ). You can tell us more details that we can quote you with the price. But we ensure that we can give you a best price and the quality. If you want to know specific price, please send us an inquiry or contact us, Our sales will service you in priority. Q: What’s your payment terms? A: The payment terms will depend on the products quantity and the shipping. You can send us an inquiry or if you have any request, welcome to contact us. Our sales will service you in priority. Q: One-stop Service: A : Assure you One-stop service for quick, effective Pre-sale service, Production, Quality Control, Packing, Shipment, After-sale service etc. If you are interested in our products, please visit our Taiwan trade website and send us an inquiry or email us. We will happy to get your Information. Q: How to contact with you? A : If you are interested in our products, our Taiwan trade website have our contact information, so please don't hesitate to send us an inquiry or email us. We will happy to get your Information. Q: How long is the lead time? A : It’s will depend on the transportation conditions. If you want to know specific lead time, please send us an inquiry or contact us, Our sales will service you in priority. Q . What is the payment method you accept? A : T/T ,or if you want to choose others payment, please send us an inquiry or contact us, Our sales will discuss with you.